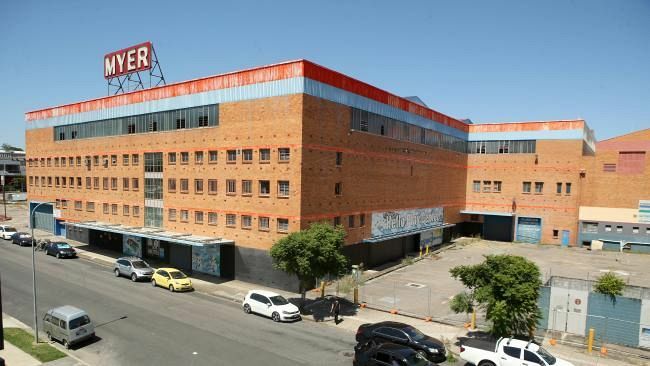 A FORMER Brisbane Myer centre is poised to start its new life as a mixed-use development, complete with apartments, trendy eateries and a cinema. Coorparoo Square, at the corner of Old Cleveland and Cavendish Rd – better known as Coorparoo Junction - in Coorparoo will come to life in September and is expected to be the new centrepiece of the suburb. The development will offer up three multi-level apartment blocks, and will house more than 360 apartments and 6000 sqm of retail outlets, including 10 cinemas. Ray White real estate agent Cliff Tarr said the transformation of the Myer centre will mean locals will not need to venture beyond their suburb’s boundaries on Friday and Saturday nights in search of a good time. “It will make Coorparoo a destination,” Mr Tarr said. The Myer centre was first opened in 1960 and provided southside residents with 60 specialty departments, including a bakery, hairdressing salon, and mezzanine cafeteria. It was later converted into a Myer Megamart, selling furniture and electrical goods and was then taken over for a short time by Harvey Norman. After being empty for a number of years the building was finally demolished in 2015 by developers Frasers Property Australia and Honeycombes Property Group to make way for Coorparoo Square. The original neon Myer sign that stood atop the building will be restored and take pride of place, close to its original position. “We are proud of the historic contribution that this site has had to the community of Coorparoo and hope this small piece of memorabilia will provide a link to its recent history,” spokeswoman for developers Honeycombes said. If Coorparoo Square is fully occupied, it will be home to about 1000 new residents. Australian Bureau of Statistics data shows just over 16,000 people currently live in Coorparoo, and Mr Tarr said he anticipated the suburb would move beyond the 17,000 mark in the near future. He said another 10-storey apartment complex had recently opened in the suburb. “We had Orion settle last year and that was 180 units and that is about a block away from where 1000 people will soon be living at Coorparoo Square,” he said. Several hundred metres west of Coorparoo Square is the thriving Easts Leagues Club which boasts almost 40,000 members and is the base for Easts Tigers, a Melbourne Storm NRL feeder club. Easts general manager Sharna McLean has high hopes for Coorparoo Square, saying it will revive the suburb, providing it lives up to expectations and delivers on promised restaurants, cafes and entertainment. “It could bring to life an area that has been dead for so long and it could lift the profile of everything either side of it as well,” she said. Diagonally opposite Coorparoo Square sits Vintage Kitchen and Vintage Closet coffee shop. Owner Ginnelle Knehr, who has lived on the southside all her life, said any development which created foot traffic was welcomed - as was more car parking. “It’s a good thing for business and the area, so long as the infrastructure keeps up with development,” Ms Knehr said. Her store sits next to the 141-year-old Coorparoo State School which was recently added to the Queensland Heritage Register. The school opened its doors just one year after the suburb was officially named - Coorparoo derived its name from an Aboriginal word that described Norman Creek and its tributaries. Other local schools include Villanova College, Loretto College, Coorparoo Secondary College, Our Lady of Mount Carmel Catholic Primary School and St James Catholic Primary School. In 2013, Coorparoo Secondary College was earmarked to shut as part of a short-lived plan to establish a secondary Brisbane State High campus. That plan was abandoned following public outcry. The college is within walking distance to the local railway station while several schools are within close proximity to the new development. Mr Tarr is confident local and state governments and the developer have adequately covered public transport and traffic concerns. The notoriously busy Old Cleveland Rd and Cavendish Rd intersection is expected to be upgraded while Coorparoo Square has a designated bus station. The Brisbane City Council has confirmed it’s acquired one block at the major intersection to assist with improving traffic flow. “They’ve already made changes for cars turning right from one side of Old Cleveland and Cavendish roads and they are making further upgrades. Easts’ Ms McLean knows all about congested streets. The club closes off its car park until 9.45am on weekdays to prevent city workers parking and using the Langlands Park bus terminal. There is also the issue of major event days at Villanova College which sits opposite Easts’ car park. She said unless there is sufficient parking for Coorparoo Square then residents will be even more inconvenienced. “You struggle to get a park around there now during the day and I think the residents are going to struggle in that area even more for a park,” she said.